Today’s guest post comes from Derek Rago, VP/GM of Data, Evidence & Insights at McKesson Life Sciences. Derek discusses how biopharma companies can use real-world evidence to gain efficiencies and build effective strategies. He also outlines the key elements of an effective data and analytics strategy. To learn more about McKesson’s data, evidence and insights solutions, visit McKesson.com/DataInsights. Read on for Derek’s insights. In December, the FDA released much-anticipated guidance on regulatory-grade data, specifically surrounding the use of real-world data and evidence to support regulatory decisions for therapies. 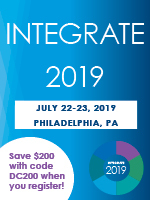 This guidance represents an important step forward in establishing a unified definition and approach for the use of real-world data to provide evidence-based support that helps connect the right patients with the best treatment in a safe and efficient way. As we move into 2019, how can biopharma companies collect and use data at every stage of a therapy’s lifecycle to better inform patient care and shape effective market access and commercial strategies? 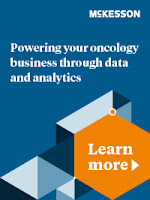 With an increasingly complex and competitive oncology market, a comprehensive data and analytics strategy is critical to gaining timely insights that help anticipate market demands in the right way. Data. Collecting data from each point in a patient’s treatment journey is critical to piece together a complete picture of product performance. This includes a variety of data captured within both the clinical trial and real-world settings, such as: medical history; genetic, molecular and other diagnostic test results; medication and treatment regimen; treatment length and relapses; use and adherence; claims and reimbursement; demographic indicators; clinical outcomes; patient-reported outcomes. Visibility. 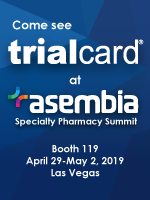 All of these data come from disparate sources, such as electronic medical records (EMRs), claims and reimbursement systems, lab reports, pharmacy management systems, inventory management systems, clinical trial management systems and more. Most biopharma companies do not have the resources or infrastructure to handle all of these data, yet visibility through a single platform that aggregates data from different sources is key to create a holistic, longitudinal view the patients who can benefit from your oncology therapy. Experts. Once you’ve aggregated the right data into a single platform, it’s time to examine and draw insights that will inform your commercialization plans and outreach strategy as well as influence adoption and further use of your therapy. Expert analysts, biostatisticians, economists, epidemiologists, clinical specialists, data scientists, oncology nurses, pharmacists and oncologists make sense of the data and provide a clear understanding of what’s truly happening across the continuum of care for patients on a specific therapy. Using McKesson’s electronic health records (EHR) data, researchers identified a substantial patient population diagnosed with and treated for metastatic Merkel cell carcinoma (mMCC). The first-line therapy indication for mMCC was completed, in part by using real-world data and insights to gain the first-ever FDA approval for this rare disease. A leading biopharma company needed to build market share for an anti-PD-1 immunotherapy in a highly competitive immuno-oncology space. Utilizing observational analysis of patients identified by the iKnowMed℠ oncology EHR, McKesson helped the biopharma company conduct a real-world study of the effectiveness of their product. Understand the market: Where are the prescribers? How many patients are there? What is the competitive landscape? Understand the patient journey: Who are the patient populations? How are patients treated? What are current treatment outcomes? Gain insights that inform market access strategies: How are various products prescribed? What drives treatment selection? What are barriers to utilization and reimbursement? Generate real-world evidence: How is your therapy performing vis-à-vis competition? What are the clinical and economic benefits? Take timely action: Educate prescribers at the right point of patient care. Gain clinical feedback on prescribing and utilization. Deliver targeted patient education. Most importantly, the insights and evidence generated from your data and analytics strategy allow biopharma companies to take actions that lead to the best clinical outcomes for patients—and the best business outcomes for the success of the company. McKesson Life Sciences aligns assets, technology and innovations to help biopharmaceutical companies successfully commercialize medications and connect patients to their therapies. Our high-touch solutions are rooted in deep functional and therapeutic expertise, actionable data and insights and our extensive reach across the healthcare spectrum. To learn more about our data, evidence and insights solutions, visit McKesson.com/DataInsights.